Catchall: a receptacle for odds and ends. OK, here is my catchall post. Last year at this time my father had just passed away and I had my second set of hummingbird babies to look after. 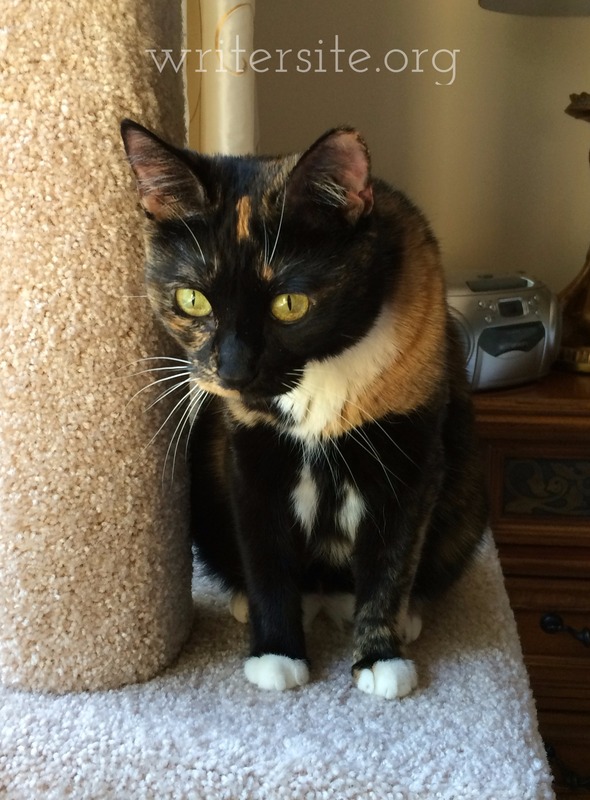 Mac, my oldest cat, was dying. 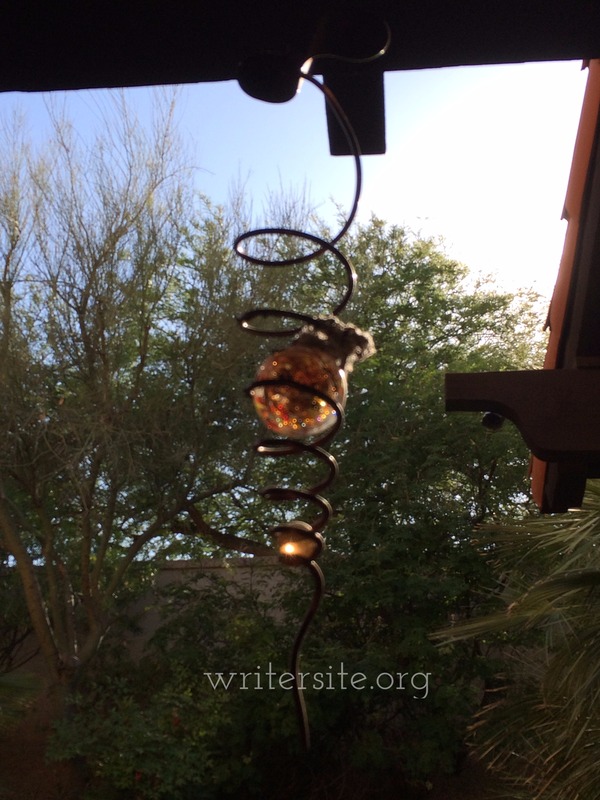 Since the hummingbird had laid her eggs outside my window two years in a row, we were hopeful she would return this year. I suspect she too has now passed away. Her nest is empty and disintegrating. Why is this woman putting a watermark on this ugly photo, you might ask. I would ask that, even if I didn’t articulate it. Answer: just cause. It’s part of my turning over a new leaf goal. 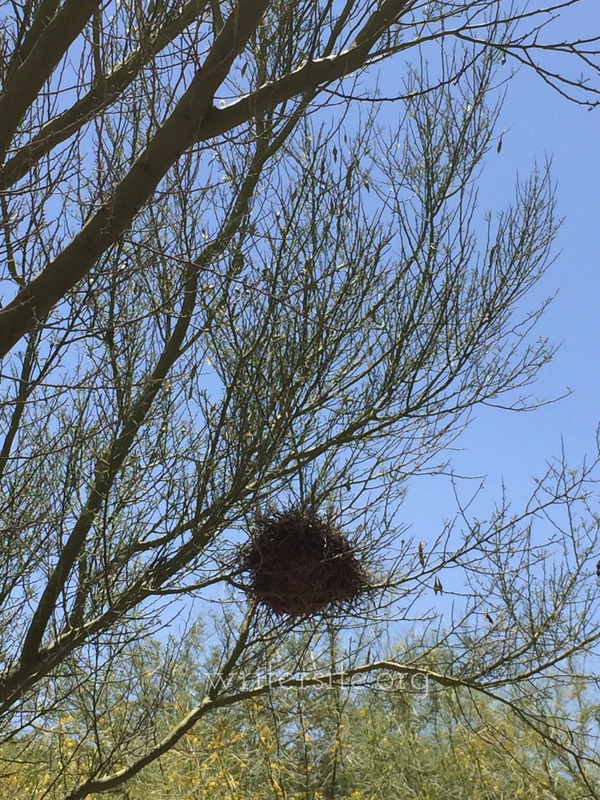 If you think this is the only abandoned nest around me, think again. There are at least two more. If you haven’t seen this video about a hummingbird, it will start your weekend off right! What else is happening (or not happening) in my life? Flowers are happening, thank goodness. The above flowers are a sample from a decorative pot. We have these in beds, too. After realizing that a lot of colors (pink, purple, pastel, YELLOW) don’t look well with our gold-toned stucco, we found that by putting a variety of strong colors together–reds, oranges, burgundies, rusts, blues, whites–that they look great! 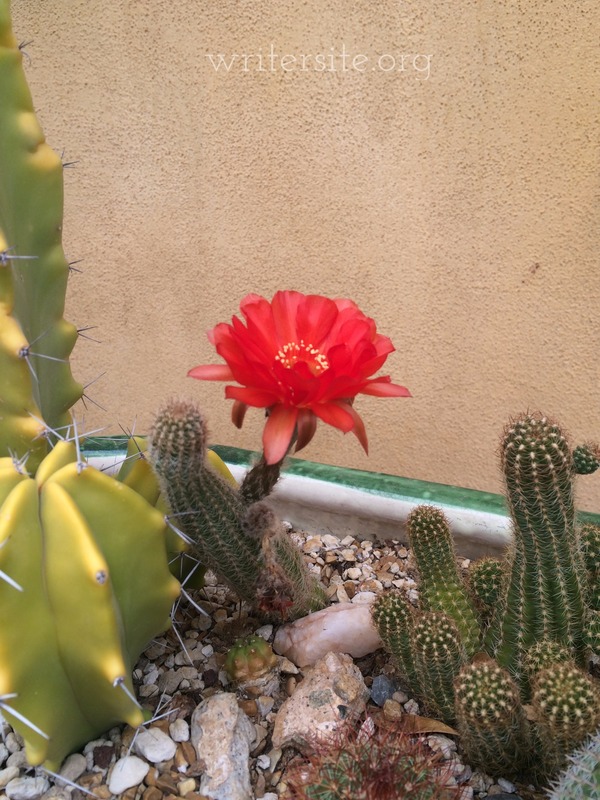 Lots of cactus flowers this year, too! 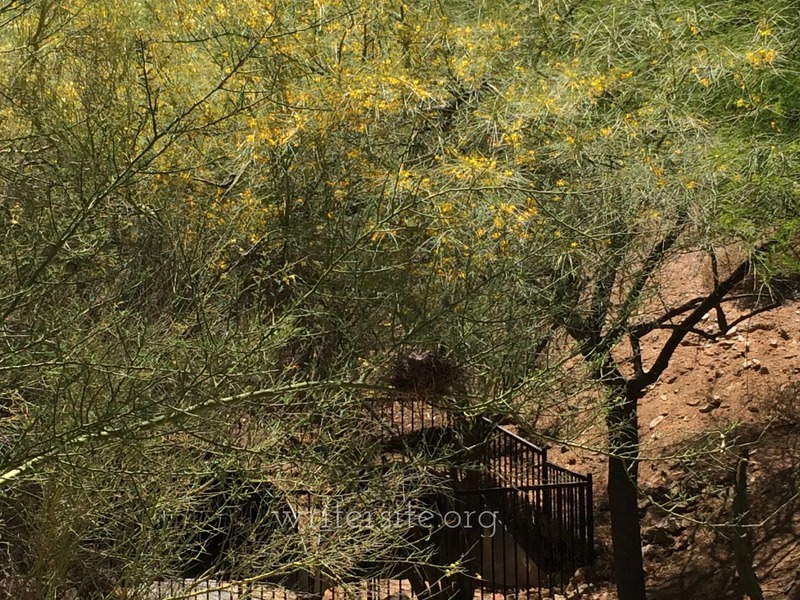 The reason I leave a lot of the gardening to my live-in gardener is because Arizona gardening can be dangerous. This is just one reason why. 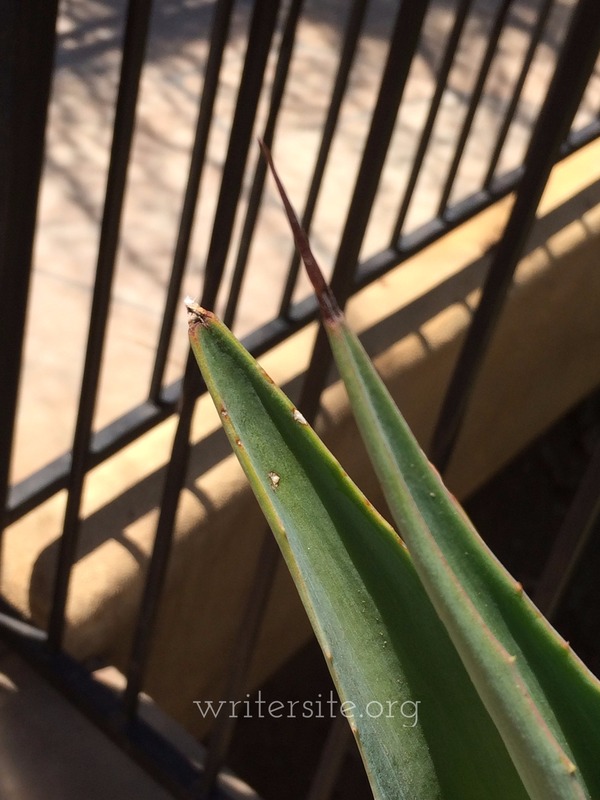 These agave thorns have messed up my gardener more than once. Very very painful. 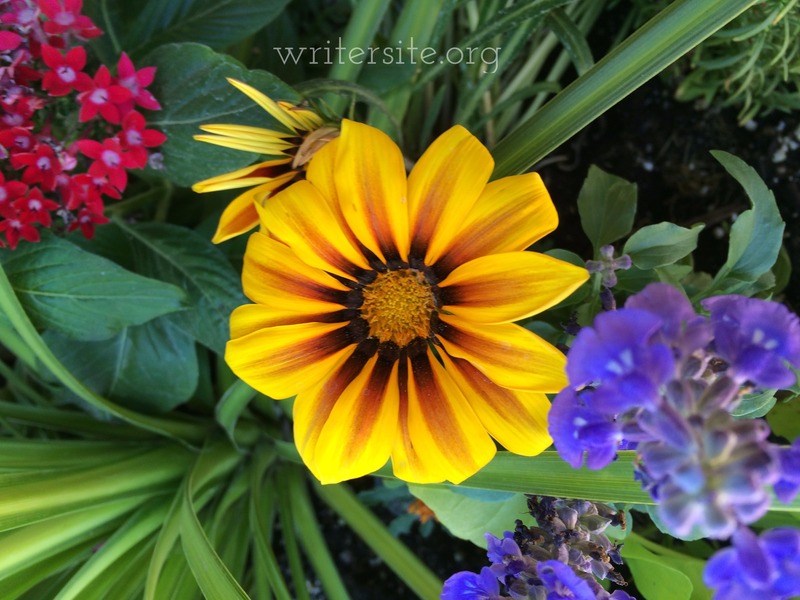 Although I pick up my mail outside amidst the flowers and empty nests, I bring it inside to open it (usually). 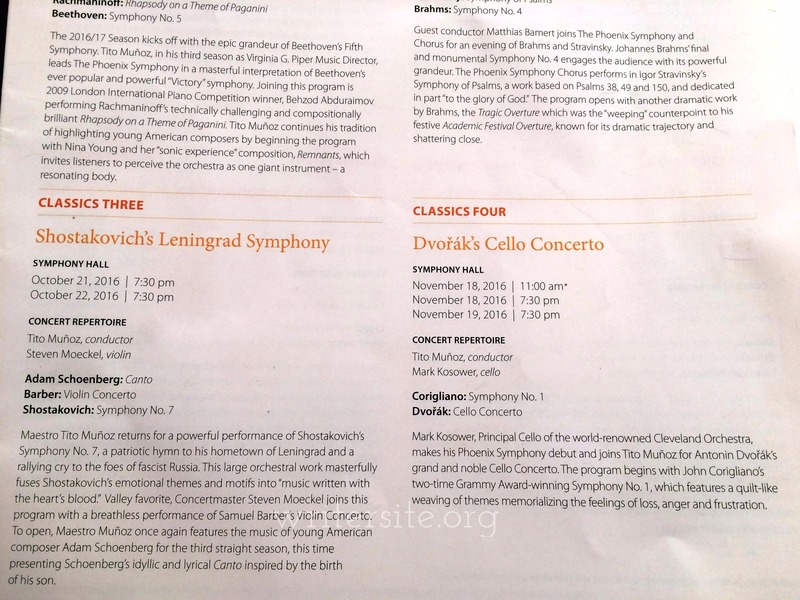 Yesterday I got a “catalog” from the symphony with next year’s options. Look at this. Shostakovich and Cello right next to each other! I don’t think so. Not after my last experience with both. I wrote about it in Hypersensitive to a Sound? But the good news is they are performing Vaughn Williams. Woot! 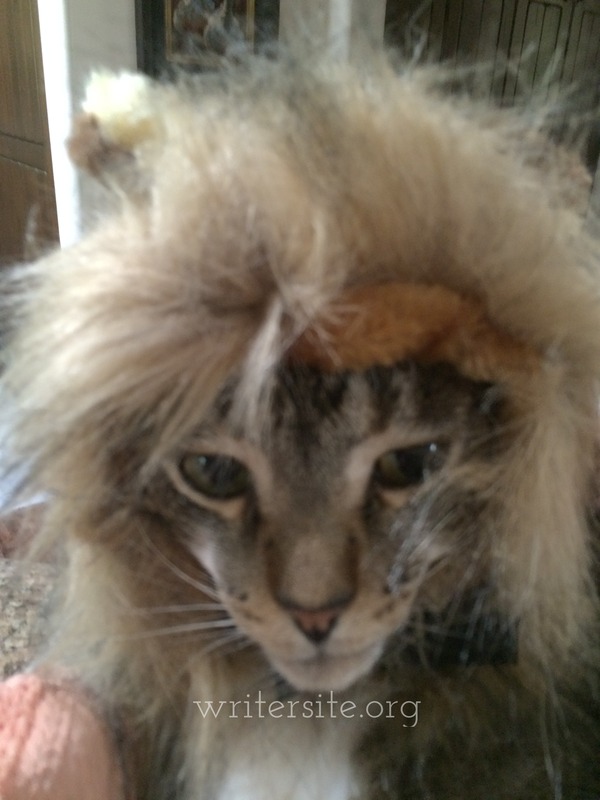 Another item that came in the mail was a lion costume for my cats. It looked so cute online, but when I got it I saw that it wasn’t for cats at all, but for kittens. To try it on Felix, I had to add a long piece of velcro under his chin. And it doesn’t look near as cute as in the advertisement because it needs a tiny kitten face so that the “mane” overwhelms it. But Felix is very good humored and let me fool around with it anyway. So what else is new around here, you might ask? Well, you might not, but I will ask it for you. Just . . . so . . . I . . . can . . . show you the new resident at my house! Yes, we are fostering Slupe!!! I couldn’t let her stay at the shelter any longer. TWO YEARS. She has her own room for now, with a view of bunnies, birds, and lizards. I will write more after she’s been here a little longer. Everyone, have a lovely weekend. For my American peeps, Happy Memorial Day. Keeping those I’ve lost in my heart. 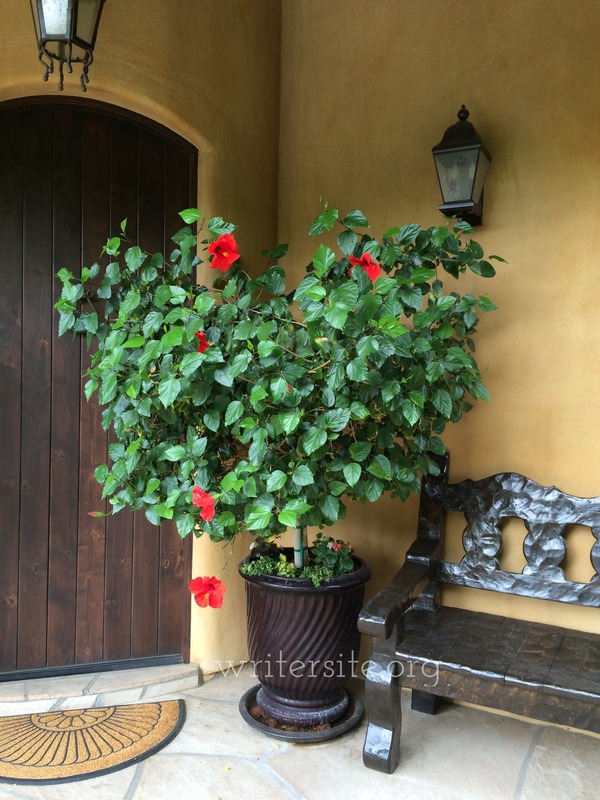 And this one will be B.
Hibiscus B has a thick head of dark, glossy leaves, but few blossoms. 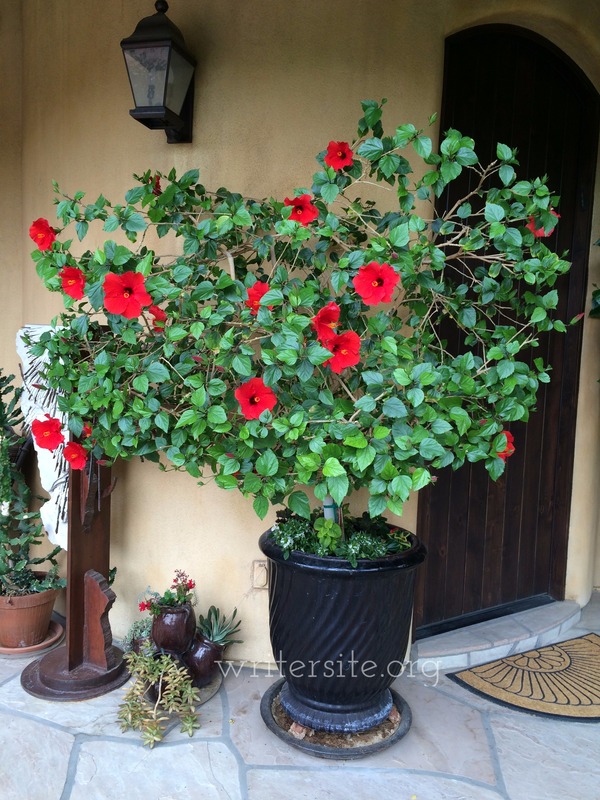 Hibiscus A is rich in blossoms, but the foliage is lighter-colored, less shiny, and sparse. Maybe something went awry in the gardening (see my live-in gardener about that). Or maybe it’s a metaphor. If we’re busy making leaves, we don’t have enough energy left for blossoms. And if we’re sprouting blossoms like crazy we neglect our leaves? What have I been up to lately besides work? Well, more work. And some writing. And doctor appointments–catch up time of the year, ya know. Only question is: am I producing leaves or flowers right now?